Author Of The Week: Chat with Bree Barton (Heart Of Thorns), Plus Giveaway!! 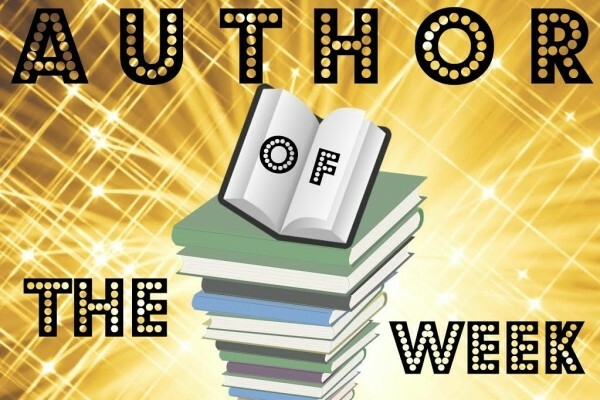 Introducing Bree Barton , YABC's Author of the Week!! In the ancient river kingdom, touch is a battlefield, bodies the instruments of war. Seventeen-year-old Mia Rose has pledged her life to hunting Gwyrach: women who can manipulate flesh, bones, breath, and blood.Not women. Demons. The same demons who killed her mother without a single scratch. But when Mia's father suddenly announces her marriage to the prince, she is forced to trade in her knives and trousers for a sumptuous silk gown. Only after the wedding goes disastrously wrong does she discover she has dark, forbidden magic—the very magic she has sworn to destroy. I have a soft spot for Princess Karri. She doesn’t get a lot of space on the page, but she looms large in my mind. Karri can “eat, drink, and fight with the best of them.” She is fiercely opinionated, unafraid to take on powerful men—including her father—and remarkably at home in her own skin. King Ronan’s misogyny has drenched the river kingdom for as long as she can remember. But instead of internalizing that hate, Karri is determined to dismantle it. She and her brother Quin are something of a miracle: they were raised on a steady diet of fear and bigotry, yet somehow they survived the horrors of their childhood with pure, noble hearts. So many things! How to pick just one? I like the complexity of the background, which you might miss at first blush. The astrolabe is gorgeous and perfect for Mia Rose, since she’s quite fond of maps. I love that the cover holds so many clues about the story: the hue of the arrowhead, the swanlike birds. Even the words are a clue. Fun fact: those words actually had a pretty big impact on the final revision of HEART OF THORNS—when I saw them, something clicked. The text informed the cover, but then the cover also informed the text. Hats off to Joel Tippie, my brilliant designer, for that eleventh-hour epiphany. When I was younger, I thought being a writer meant staying hunched over a laptop for eight to nine hours with maybe one bathroom break and a blueberry donut. I vacillated between periods of extreme productivity and long, fallow months. During bouts of writer’s block, I beat myself up mercilessly. Full disclosure: I still struggle with this, especially when I’m depressed. I think the most important thing I’ve learned as a writer is: Stop writing. Move your body. Stretch your brain. Get up from your chair and go somewhere. You can’t do this forever, of course—not when you’ve got deadlines to meet—but sometimes the best thing you can do for your creativity is to leave home and have an adventure. I made a video about this, actually. You don’t have to go to some exotic place; you can have an adventure in a grocery store or at the neighborhood park. One of my favorite writers and teachers gave me a piece of advice I’ll never forget. He said, “Read to feed your humanity, and let that humanity feed your writing.” I’ve adapted that into: “Have adventures to feed your humanity, and let that humanity feed your writing.” When I take time to do that, my writing improves tenfold. Maura Milan’s sci-fi debut, IGNITE THE STARS! It’s coming out in October, but I was lucky enough to read an ARC. I don’t read much sci-fi, so I wasn’t entirely sure what to expect—and then I fell in love with Ia on the very first page. Maura has managed to draw three incredibly rich characters who sizzle to life with wit and humanity, while also telling a story with powerful (and scary) real-world parallels. Also, would you look at that cover? Talk about a badass girl in a spacesuit! THE DISAPPEARANCES by Emily Bain Murphy (also a debut). I still have a hard time putting into words what that book did for me. I read it in the midst of a very bad depression—one of my worst. I don’t want to give the plot away, but I will say I found it a profoundly moving story about loss. I devoured it in one voracious gulp on a Saturday night, and on Sunday morning, I woke up with hope. I still can’t talk about it without getting teary. That book saved me, in so many ways. Book two of the trilogy! I can promise you witchy grimoires, smoky lagoons, and ribbons of light that write words in the sky. I also just finished a middle grade book about a magical dictionary that can erase whole ideas from the world. Apart from books . . . I’m resurrecting my YouTube channel! I’ll be launching two new series: 1) WOW, Women on Wednesdays, where I interview some of my favorite women authors, actors, and artists; and 2) Thorny Thursdays, in which I answer readers’ questions about HEART OF THORNS. Making videos is food for my soul: I love messing around on camera and cracking myself up. At heart I’m a goofball, something that doesn’t get a lot of play when writing fantasy (though I sure hope there is humor in HoT; if I don’t make you laugh at least once, I’ve failed). Making funny videos is my jam. Is there any greater joy than putting a Harry Potter costume on a mournful dog? No. No there is not. In HoT book two, there’s a new POV character who’s been a real pain in my arse. It’s easy for me to write Mia Rose—she talks and thinks the way I do, with slightly more emphasis on anatomy. But this new character is different. (Now I will proceed to use gender-neutral pronouns to avoid spoilers.) Their background, motivation, and belief system are worlds apart from Mia’s. Even their speech patterns are distinct. I haven’t written a character like this before, and I constantly feel myself drifting into Mia Land, then having to go back and cut an awful lot of adverbs. Definitely drafting. First-drafting in particular. When I’m freewheeling a new story, nothing is out of bounds. There could be cows. There could be spaceships. There could be cows on spaceships. I am making new discoveries on every page, and I am drunk with reckless abandon. All hail, the limitless fount of creativity! Then my internal editor barges in and spoils the fun. She says, “Kill the cows. Scrap the spaceships.” Which is a valid point when writing fantasy. Don’t get me wrong: I like the inner editor. And I need her. Desperately. But I miss the wild, unfettered freedom that—for me, at least—only comes at the beginning. If you ask me what time it is, I can always tell you—and I am never more than 3-4 minutes off in either direction. No iPhones. No watches. Just my relentless internal clock, ticking, ticking, ticking. Someone please tell me how to use this to fight crime. One winner will receive a signed hardcover copy of HEART OF THORNS. The winner will also receive a custom-designed postcard that magically transforms into a bookmark…with a personal note from the author! Author Of The Week: Chat with Mindy McGinnis (This Darkness Mine), Plus Giveaway!! I love this cover! This book sounds so good! I love this cover and am so excited for this one to come out! It's been on my TBR for a while!! I feel like I've seen this cover all over the place lately! It reminds me of the embroidery from the beginning of the A&E Pride & Prejudice movie. ha! Love the summary, it has me ready to read. I feel like I've seen this cover all over the place lately! It reminds me of the embroidery from the beginning of the A&E Pride & Prejudice movie. ha! Love the summary, it has me ready to read. The cover is unique and striking, and the plot sounds very engaging! This book has such a captivating cover and synopsis. I'm so excited for it! I am in love with this cover! It is stunning, so magical. And the synopsys - I want to read the book now. The cover is amazing! I love the design of it! The synopsis made me want to read the book very badly! The cover is gorgeous and delicate. The synopsis sounds original and intriguing.